Thousands of people will gather to watch the world’s best pipe bands descend on Paisley next week – and they’ll be able to travel in style. The British Pipe Band Championships – one of the biggest in the piping calendar – will see more than 4,000 pipers and drummers take over the St James Playing Fields for the free all-day event on Saturday 19 May, which includes a programme of family entertainment. 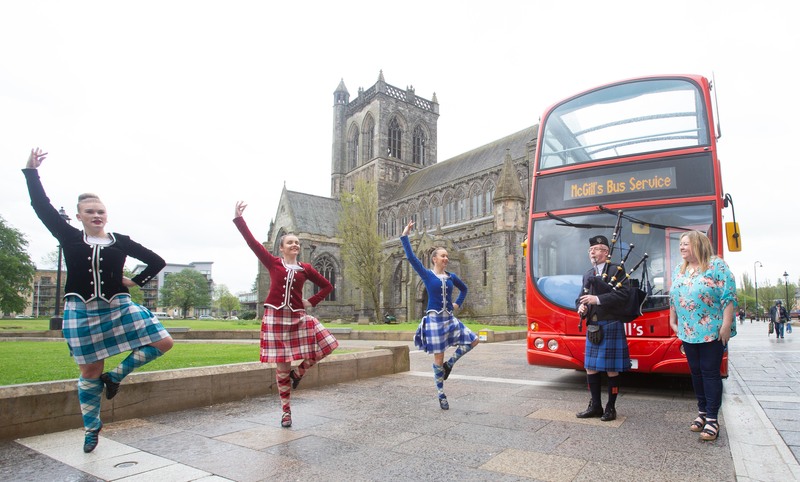 Event organisers Renfrewshire Council and the Royal Scottish Pipe Band Association have teamed up with McGill’s to lay on a fleet of shuttle buses to ferry the army of spectators to and from the event – which runs from 10am to 6pm – free of charge. 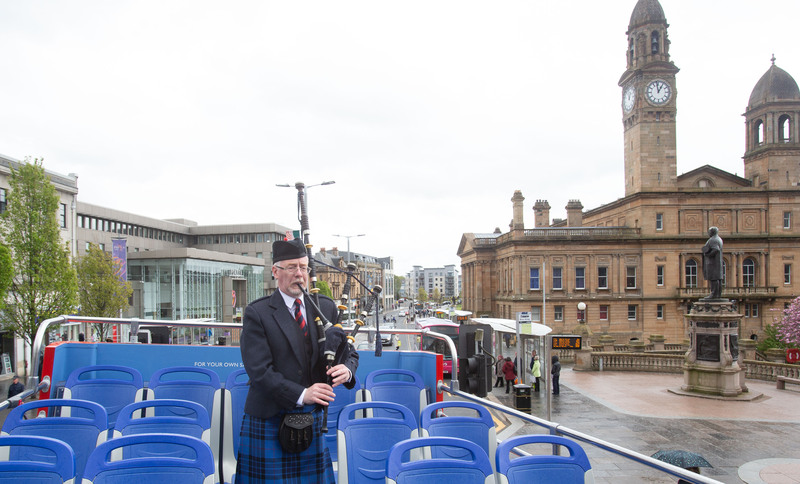 And to give residents a flavour of the day, McGill’s took piper Alan McGeoch of the Johnstone Pipe Band – who will compete in the elite-level Grade One contest – on an open-top bus tour of Paisley town centre. 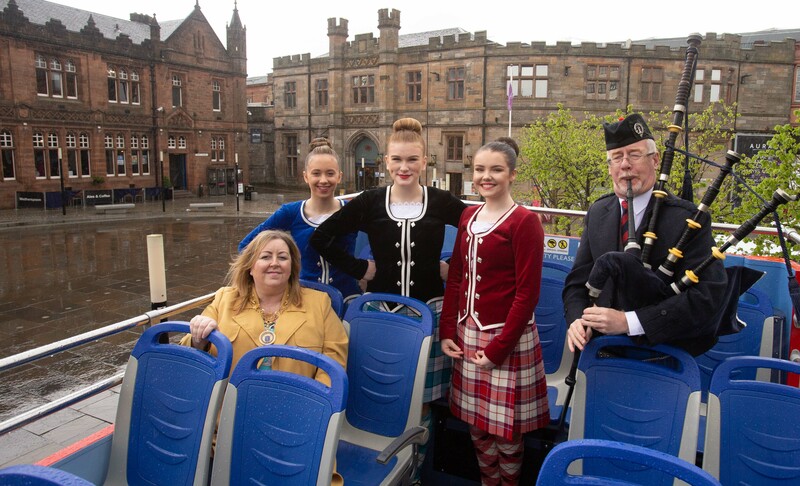 He was joined by Renfrewshire’s Provost Lorraine Cameron – the chieftain of the event – and by dancers from the Christine Aitken Academy of Dance as he played for lunchtime commuters. The championships will see almost 130 bands compete for some of world piping’s most prestigious titles, from the length and breadth of the UK, with international representation from Denmark and Ireland. Free entertainment on offer includes an international food village and bar, funfair, street traders and Highland dancing competition. Renfrewshire Leisure staff will offer the chance to try out different sports, with activities run by Paisley Rugby Club, and Renfrewshire’s award-winning Street Stuff team. McGill’s will run the shuttle buses from Paisley Gilmour St station, West College Scotland and St Mirren’s Paisley 2021 Stadium, with the latter two offering free event parking. Visitors should note there will be no public parking at the event. 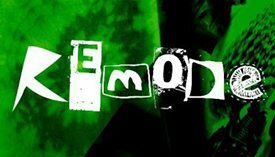 Other transport options include getting the train to Paisley St James station, which is a short walk from the event site, or a McGill’s bus to Paisley town centre, and transferring to the free shuttle. The event is in Paisley for the third year in a row – and is confirmed for a further three years, as part of the expanded programme of events planned via the legacy of the town’s UK City of Culture 2021 bid. Other Renfrewshire interest on the day will come from the KIlbarchan Pipe Band and the Renfrewshire Schools Pipe Band, who are supported via the council’s investment in free music tuition in local schools. Renfrewshire’s Provost Lorraine Cameron said: “We are delighted to be once again hosting this great event, and welcoming our friends at the RSPBA, and thousands of the world’s best pipers back to Paisley. “Hosting major events like this is helps to build on Paisley’s now-established reputation as a key destination on Scotland’s events map. Ian Embelton, chief executive of the RSPBA, added: “The British Championship is the first of our annual calendar of majors and most of the world’s top bands are going to be there. Rachel Stewart, Marketing at McGill’s said: “As a local company, we were thrilled to get involved and provide a free shuttle bus for attendees to travel easily to the event.